High-quality liquor is meant to be enjoyed in high-quality glasses. There’s no reason you should be pouring expensive alcohol into cheap, dollar store glasses. 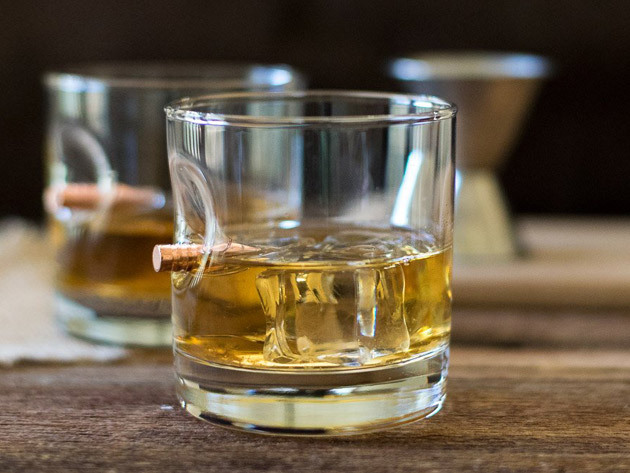 The BenShot “Bulletproof” Rocks Glass Gift Set is the ultimate method of properly enjoying your whiskey after a long day of work. 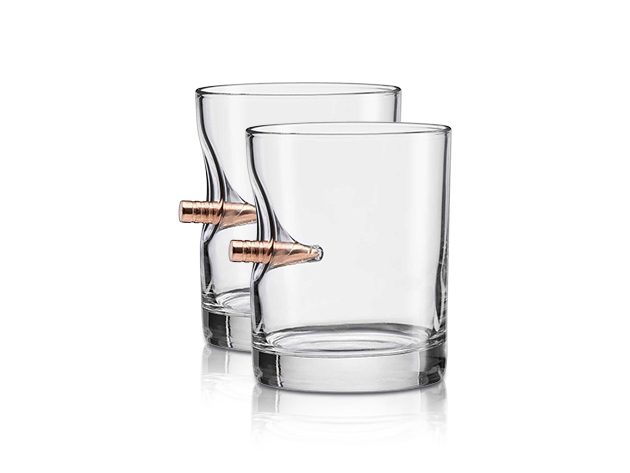 The BenShot “Bulletproof” Rocks Glass Gift Set is unlike any other cups that you’ve seen before. These glasses are called “bulletproof” because each one is embedded with a real .308 copper bullet. This means that every drink you have will really be packing some heat. The beautiful, handcrafted design comes directly from the USA. Each glass is built with pride from Wisconsin. Anybody that sees the BenShot “Bulletproof” Rocks Glass Gift Set will be impressed with the creativity and craftsmanship. It’s the perfect way of treating guests at a nice dinner party. These glasses are also a great gift for friends and family. Each gift set comes in a pack of 2 glasses. There’s a 1-year manufacturer’s warranty on all gift sets. 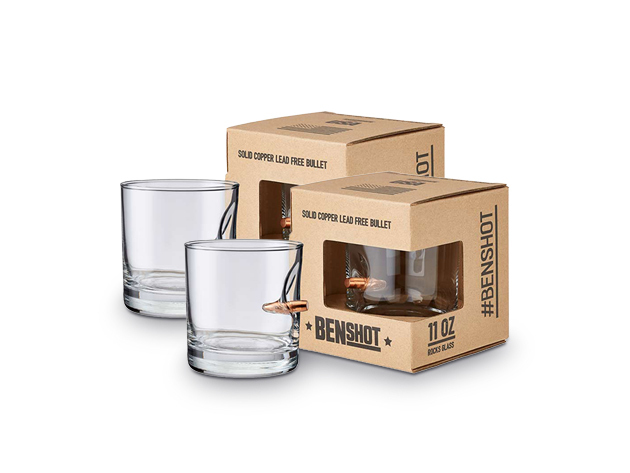 Be sure to get your BenShot “Bulletproof” Rocks Glass Gift Set today for just $35.50. That’s 11% off the original price!